Critical fundraising … is critical! 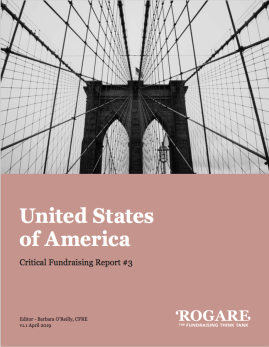 Rogare’s U.S. Critical Fundraising Report… Prepped by cool colleagues… Pay attention to the bad news!! 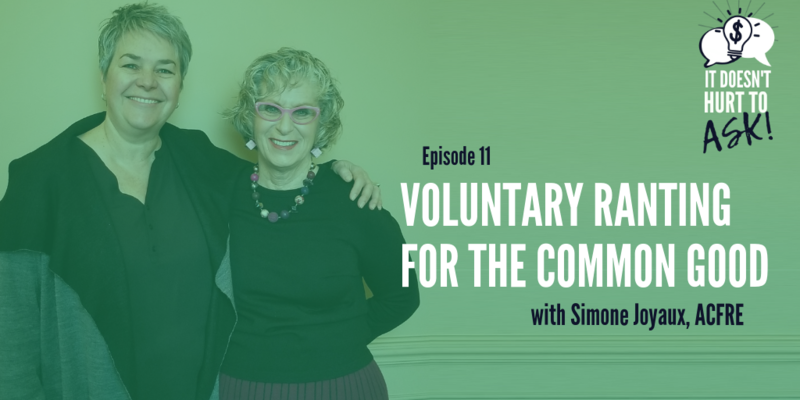 State of public trust and what it means for charitable giving. Stagnant donor retention rates and national giving levels. Tax reform and what it means for charitable giving. A look at diversity, inclusion, and gender equity in fundraising. The rise of data, technology and social media – and their effect on fundraising. The rise of social fundraising. The current and anticipated talent crisis. Check out the Rogare blog. Rogare…the fundraising think tank – and home of critical fundraising. 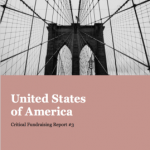 Read the US Rogare report that focuses on critical issues facing US fundraisers. It’s not a pretty picture – and we’d better fix this pretty darn soon!!!!! Absolutely PowerPoint is so very very very right and good and appropriate and useful and cool and marvelous…And stuff. Also true that PPT is just not necessary. Please, let’s interactively present and engage in conversation etc….. WITHOUT using PPT. I mostly always use the latter…RED & BOLD! With PowerPoint there’s no way out. It’s not always “bullets 1, 2 and 3”. What really matters is not the next overhead. So today we may wander here and there. There might be side trips if we dare. And that’s the Point – without the Power! Maybe my next newsyletter will focus on how to measure fundraising. BUT ONLY IF YOU ALL SEND ME YOUR THOUGHTS!!! Measuring our institution’s fundraising performance. What would those measures include? For example: Organizational culture. Culture of philanthropy. Fundraising body of knowledge and applying research. Ideas? Send them to me. Saw an old picture. Decided to gather several together. 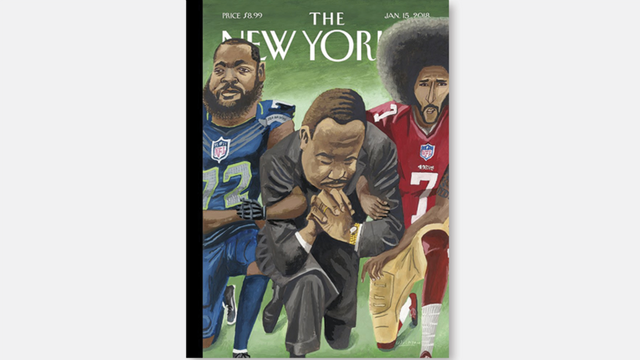 I call this leadership and respect – and love. Love for others. Love for community. Love for differences. 1968 Olympics Black Power Salute. Mexico City. Tommie Smith & John Carlos. 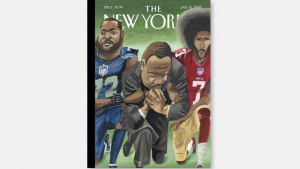 And how about this marvelous New Yorker magazine cover? Love. Leadership. Courage. Respect. Justice. Speaking out. Taking risks to care for others and everyone. Transformation newsletter [Activism. Economics. Intersectionality. Nonviolence. Culture. Love and Sprint. Environment. Care.] Lovely newsletter located at the website openDemocracy. Check out this article, February 7, 2019: Five behaviors that perpetuate toxic capitalism. Author Suzannah Weiss. Pushing kids, even when it takes a toll on them. Looking down on people who get less done. Praising people based on money. Telling people to care about their health so they can work. This article was originally published at Everyday Feminism. Check out Everyday Feminism. This is a beautiful and deeply sad article. I wish I could mandate that everyone has to read Ta-Nahsi Coates’ book Between the World and Me. This was an excerpt of Roosevelt’s speech, “Citizenship in a Republic,” delivered at the Sorbonne. Fun? Comfort? I’m not always sure. I’m more and more into music. I’m like in love with the new version (4th one) of A Star is Born. I keep listening to Bradley Cooper and Lady Gaga sing Shallow and Always Remember Us This Way and I’ll Never Love Again and Maybe It’s Time. I came late to Bruce Springsteen. But now?! How about Dream Baby Dream… Look at the people. Waitin’ on A Sunny Day. And so many more. The music makes me feel…Better? Less worse? Fun and comfort? I’m not always sure. Gave online – or paid online ??? I’m tired of hearing about giving through the internet or through social media or…. is increasing. Do you mean “PAID ONLINE” or “SOLICITED AND GIFT GIVEN THRU ONLINE ACTIVITIES”. Your direct mail (PRINTED!) made me really angry — which was what you wanted to happen. And the outside of the envelope made me open it immediately. I ranted all the way to my computer and made a gift through your really cool giving button. You periodically send out really cool little videos about the kitties. Your most recent one was so hysterical that I clicked on the link and made a gift. There’s a big difference!!!!! REALLY BIG!!!!!! Quit conflating the two. JUST STOP IT NOW! And work hard to distinguish and count PAYING ONLINE or GIVING IN RESPONSE TO THE ONLINE SOLICITATION. Voluntary ranting!!! for the common good!!!!! I’m so excited. 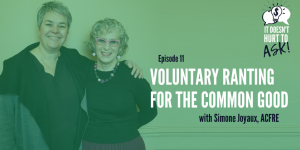 My podcast with Cathy Mann. Subscribe to Cathy’s FREE podcast series.